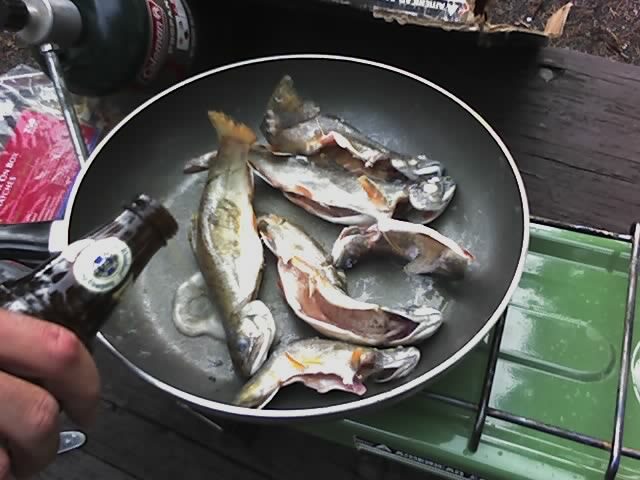 Thoughts From My Brain: Pan of 6 little brook trout. First campsite ready for occupation. Waiting for ride to airport.